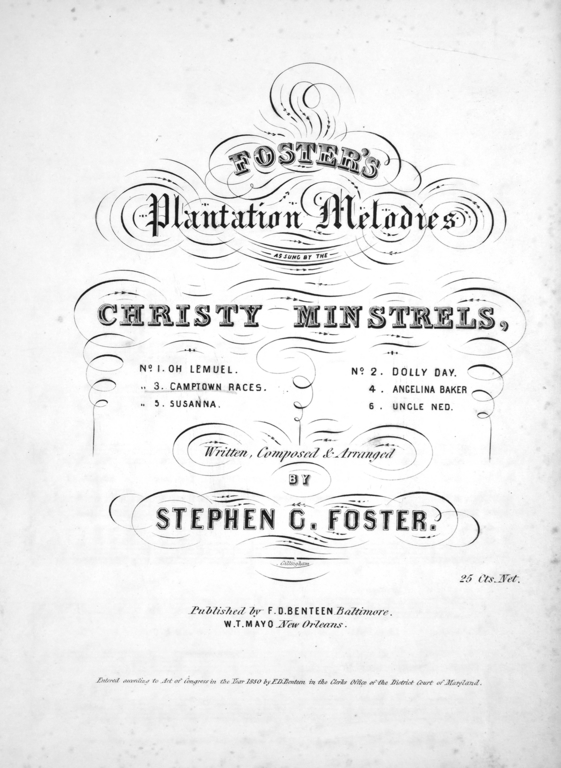 This entry was posted in Siyan Xie and tagged Camptown Races, Minstrelsy, Stephen Forster by xies. Bookmark the permalink. I love the juxtaposition of that “Blazing Saddles” clip with the Bugs Bunny cartoon. I think what bothers me most about Bugs’s minstrelsy bit is that it’s so unnecessary, so gratuitous. In fact, he starts singing “Dixie” – not a tune originally associated with blackface minstrelsy – and then switches into “Camptown Races” as if “Dixie” weren’t enough to drive the point home. So bizarre! A few technical details: I’m glad you quoted Daniel Goldmark, but which of Goldmark’s works is it from? 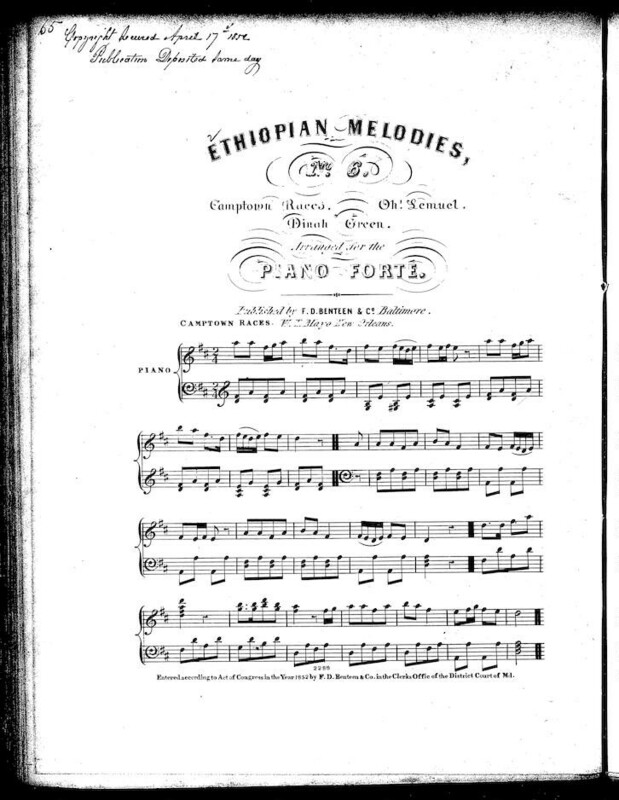 “Tunes for Toons?” And where did you find the awesome sheet music for “Camptown Races?” Link to the collection, if you can.